Dubai: One million people have visited Dubai Frame during its first year, Dubai Municipality announced on Tuesday. The iconic twin tower with a 150-metre-high glass bridge observation deck had opened on January 1, 2018. Enjoying a unique position among the tourist and urban attractions around the world due to its unmatchable awesome design, Dubai Frame has attracted the attention of a large number of visitors, and received a million visitors from around the world during its first year of opening, the civic body said in a press release. 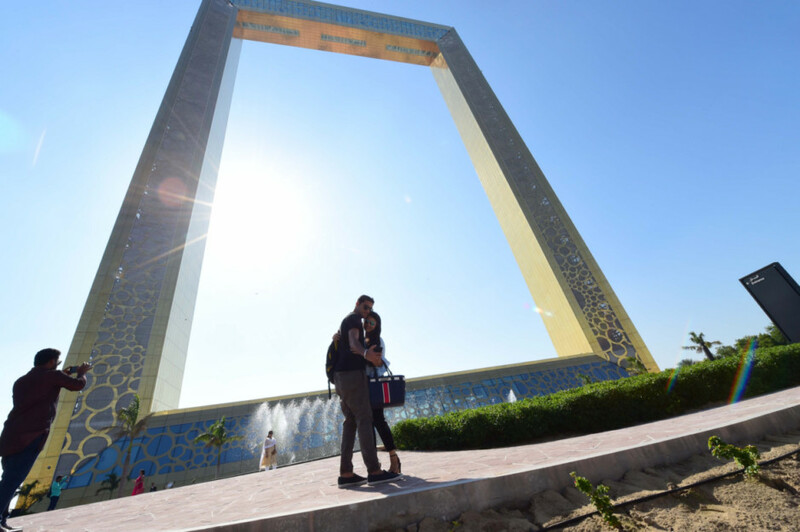 Last year, Dubai Frame had bagged the Excellence Award at the Fourth Theme Parks Awards, as well as the Best Performance of the Year Award at the Aspire Summit, the municipality added.